Mladiinfo International is established in 2003 as a non-profit, independent organization dedicated to help young people in fulfilling their educational potential as they are challenged by many educational disadvantages caused by either personal, social, cultural or economic circumstance. This platform came into existence with the establishment of web portal www.mladiinfo.eu – Your link to free education, which aims to provide international audiences with information related to educational opportunities and youth entrepreneurship development. The web portal was subsequently updated and supported by young local and European volunteers, with its main goal to bring international opportunities: scholarships, internships, conferences, volunteering to students all around the world as well as educational information, lifelong-learning-conceptualized programmers and funding opportunities for individuals, organizations and institutions. 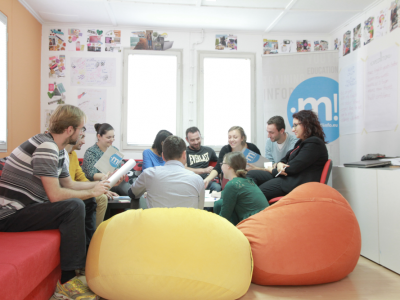 Since its founding, Mladiinfo International promotes and mediates the communication between young people, students, professors, researchers, university officials, youth NGOs and all those involved in the educational process in Europe and worldwide. Dedicated to youth, their problems and needs, from the very beginning, Mladiinfo undertook numerous activities to promote and enhance free education, communication, media and journalism etc. Mladiinfo International is constantly organizing conferences, seminars and workshops focused on issues such as: new media, journalism, digital photography, etc. Hundreds of young people from all over Europe participate at these events. Further, Mladiinfo International has developed into a network with offices in other countries namely Slovakia, Czech Republic, Croatia, Montenegro, Austria and Poland with a seeding office in Skopje, Macedonia. As a web platform, informative center, and a network, Mladiinfo International has developed the necessary capacities to enhance the educational potential of the young people in the country and abroad. Mladiinfo International directly impacts the lives of youth, empowering them, promoting active citizenship, critical thinking and motivating them for an action. Mladiinfo International is the applicant and coordinator of the project. In coordination with other promoters, Mladiinfo is responsible for the communication with partners, coordination and implementation of the project as setting up the agenda, as well as finding premises for the planned activities, obtaining the necessary equipment and support to each partner, organizing the accommodation and food arrangements, etc. Mladiinfo is also responsible for the evaluation and dissemination of information/results of the activities and gives support to the partner organizations. 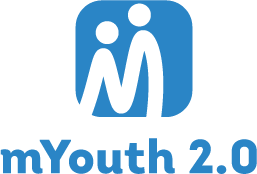 Mladiinfo International make sure youth involvement in this project and also secures promotion of the final outcomes and products of mYouth in Europe and beyond.